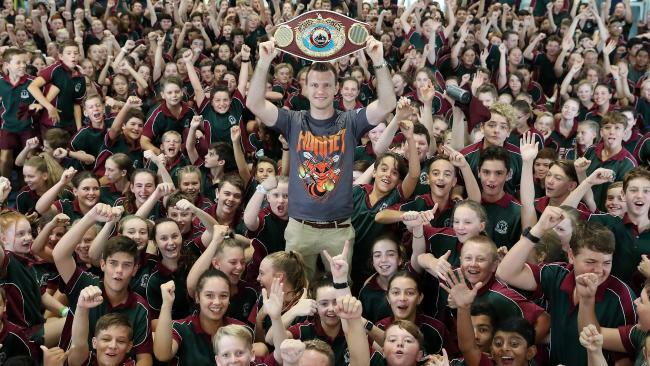 Jeff Horn is king of the kids. AUSTRALIA'S greatest boxing trainer says Jeff Horn must immediately forget he is the world welterweight champion and attack Terence Crawford like a hungry challenger if he is to win their Las Vegas superfight. Horn is a massive underdog for the April 14 battle and Hall of Fame coach Johnny Lewis says the Queenslander has to test Crawford's resolve early and knock some of the confidence from the fleet-footed counterpuncher. "Jeff can't sit back and look for opportunities because Crawford is a sharpshooter and he will pick him off,'' Lewis said. "I'm not going to say that Crawford is the best fighter in the world but he's certainly one of them along with the Ukrainian kid (Vasyl Lomachenko). He is very fast, has good balance and he can hurt you with either hand. "But we've seen some great fighters brought down a peg in recent times such as Gennady Golovkin and this is Jeff Horn's chance to expose flaws in Crawford's make-up. 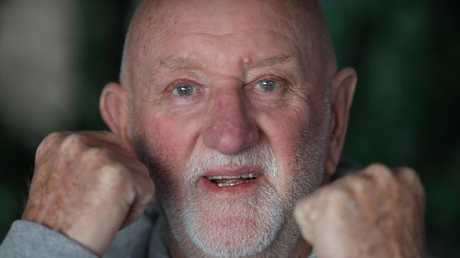 Lewis, 73, has spent more than 60 years in boxing and trained six world champs, including Jeff Fenech and Kostya Tszyu. He was inducted into the International Boxing Hall of Fame in New York last year. He insists Crawford, who is undefeated in 32 pro fights, deserves his huge reputation. "But we don't know what's going to happen if Jeff lands a big punch on Crawford's chin,'' Lewis said. "Crawford can dish it out but we don't know how well he can take it. Horn, 30, is training for a KO win in Las Vegas, knowing that it will be tough to win a points decision in a city where the local boxing commission favours appointing its own officials instead of neutral international judges, as Brisbane did when Horn beat Manny Pacquiao at Suncorp Stadium on July 2. In his savage padwork sessions with strength and conditioning coach Dundee Kim at Yeronga, Horn is practising a brutal body assault to break Crawford down. He plans to use his physical strength to overpower the fast moving challenger, who has already dominated the world lightweight and junior-welterweight divisions. "It's going to be a very tough night for Jeff,'' Lewis said. 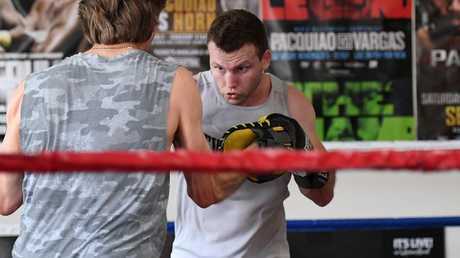 Horn says he is certainly not overawed by Crawford's reputation and promises he will shock the world just as he did when experts around the globe wrote him off before the Pacquiao fight. Lewis said despite the odds against him, Horn has a chance to cause another shock in Las Vegas. "Jeff went out there at Suncorp and did what seemed like the impossible against Pacquiao,'' Lewis said. "Any time that Jeff's trainer Glenn Rushton has asked him to go up a gear he's done it and if I could make a wish, it's for him to reign supreme in world boxing for many years. 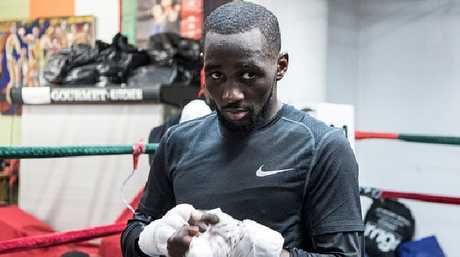 Terence Crawford is seen as one of the best boxer’s in the world. Crawford is working with Nebraska college football strength coach Jamie Belt as he begins revving up the engine for what he promises will be an explosive performance against the undefeated Aussie. The 30-year-old Crawford played for Team Lakers in the NBA All-Star Celebrity Game last week in Los Angeles. He had nine points and 12 rebounds. Watching the fighter risking injury made Belt nervous. 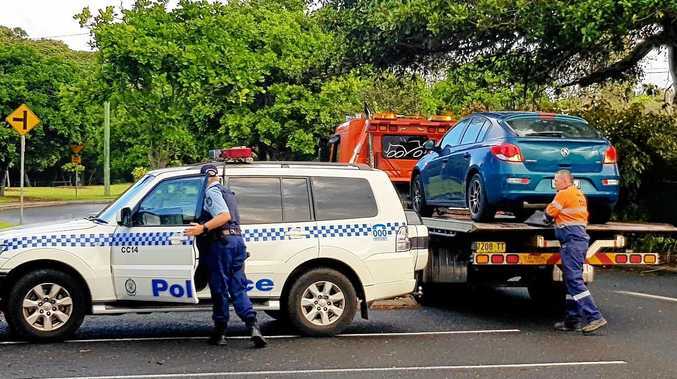 "I was really worried," Belt said.